The Raiders celebrate after senior Brett Sutherland tied the score in the first period of the Div. 3 North quarterfinal on Saturday. Watertown fell 3-2 to Dracut/Tyngsboro. BILLERICA — The Raiders battled to the final buzzer, but the Watertown High School boys hockey team could not find the back of the net for a third time, Saturday, and fell 3-2 to Dracut/Tyngsboro in the MIAA Div. 3 North quarterfinal. The loss to St. Mary’s on Friday ended the Raiders’ season, but the team has shown progress in 2018-19. Here Watertown’s Ellie Monahan drives to the hoop against South Boston earlier this season. The season may have ended for the Watertown High School girls basketball team on Friday night, but their coach was proud of how far the team has progressed. Last season, Raiders only won one game and missed the State Tournament for the first time in several years. Watertown’s boys hockey team celebrates after scoring against Wayland in the second period of the 4-1 State Tournament win. Riding the momentum of an early goal and getting steading goaltending, the Watertown High School upset Wayland, 4-1, in the MIAA Div. 3 North boys hockey tournament on Thursday night at John Ryan Arena. While they played in their home rink, the Raiders were the road team as the the 12th seed taking on fifth seeded Wayland. Watertown entered the second period with a 1-0 lead, thanks to a goal from freshman Nathan Master, assisted by senior Alex Egan and senior Luke Murphy. Watertown freshman Taylor Lambo looks for a shot down low in a game against East Boston. Watertown High School’s girls basketball team went on the road Wednesday night and pulled off an upset by beating the fifth-seeded Shawsheen Tech, 37-29. The Raiders came in with a record of 8-12 and were the 12th seed in the MIAA Div. 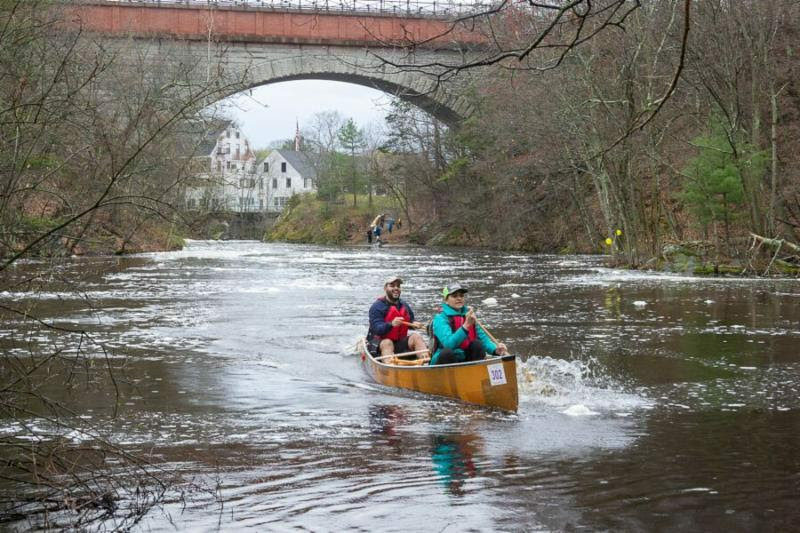 3 North Tournament. The game was tied at 6 after one quarter, but in the second, Watertown poured it on. Watertown sophomore guard Gabe Spinelli scored 29 points in the Div. 3 North first round game against Weston. The Watertown High School boys basketball team showed heart and determination on Monday night, but the Raiders comeback attempt fell short in the MIAA Div. 3 North first round game against Weston. The visitors from Weston led by more than 20 points in the third quarter, but the Raiders battled back to within six points with less than a minute left in the game, ultimately losing 58-50. 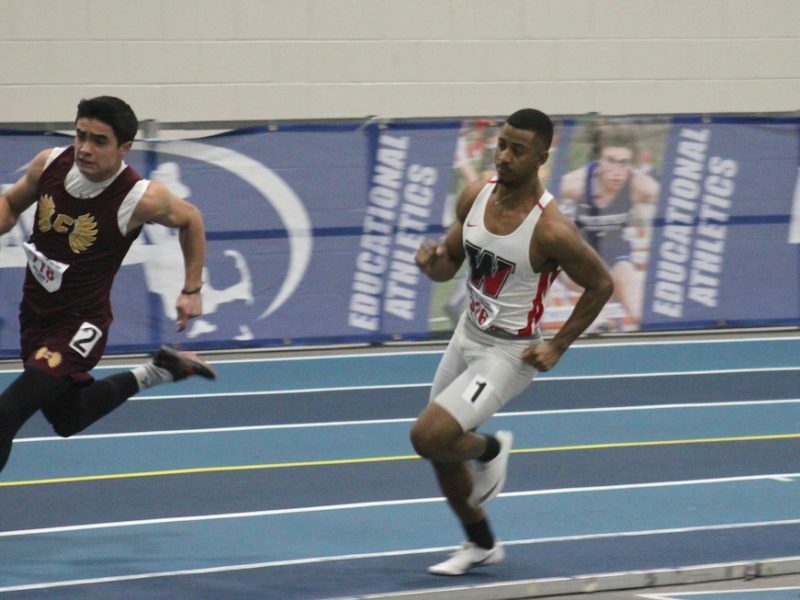 Watertown senior Mange Camara won the 300 meters at the All-State Meet, and ran one of the fastest times in Massachusetts high school history. Here he runs the 300 in the Div. 5 Meet. 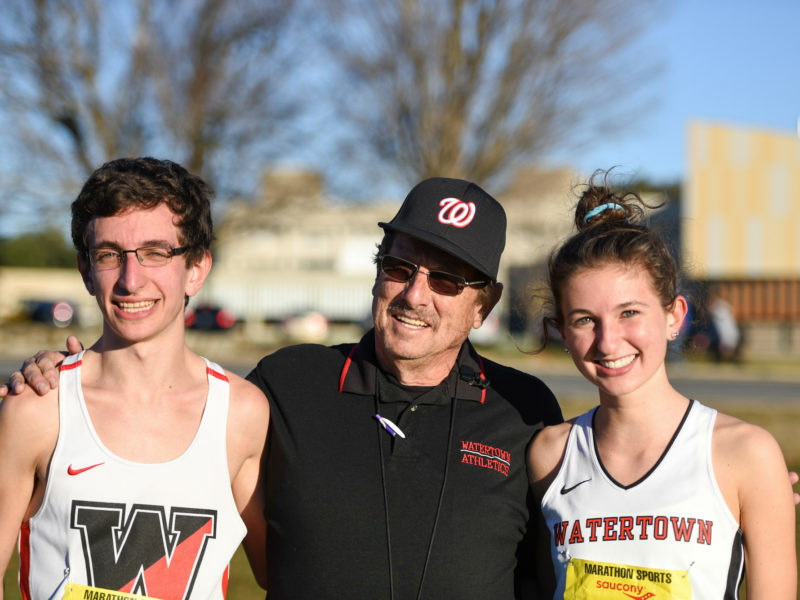 Watertown’s Mange Camara is the fastest high school runner in Massachusetts. 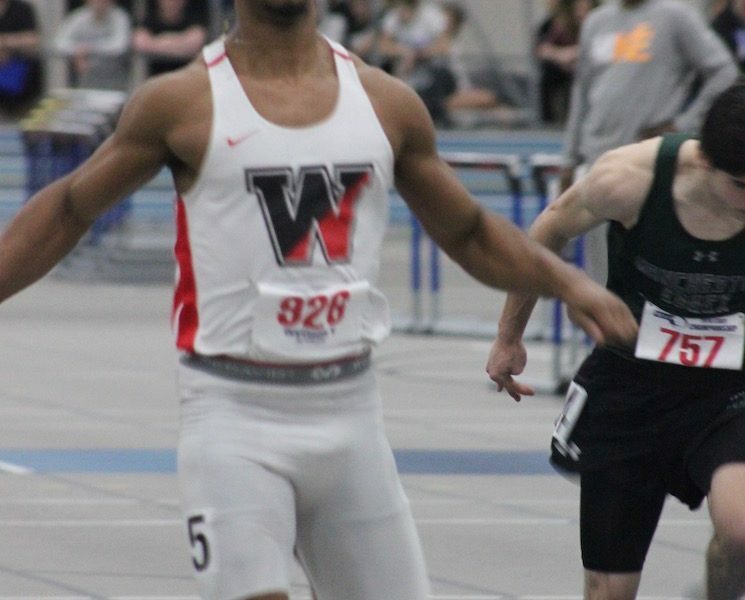 The senior won the 300 meters at Saturday’s All-State Meet, and also placed in the 55-meter dash. The Watertown boys hockey team has returned to the MIAA Div. 3 state tournament after a three year gap. The Raiders earned the 12th seed in the Div. 3 North bracket with a record of 8-8-4. Watertown will be the lower seed in the first round game against No. The Raiders will start the defense of their 2018 MIAA Div. 3 boys basketball State Championship on Monday at Watertown High School. The Raiders boys and girls basketball teams will both be returning to the State Tournament in 2019, with the boys hosting a first round game. The Watertown High School boys hoops team will defend its MIAA Div. 3 state championship starting on Monday night at home.